Here's a look at Smriti Irani's long journey from a model, actress and now a cabinet minister. Smriti portrayed the typical Gujarti daughter-in-law who marries the grandson of a rich business tycoon. The show focused on her relationships with the family members especially that with her mother-in-law and also her struggles as a woman. 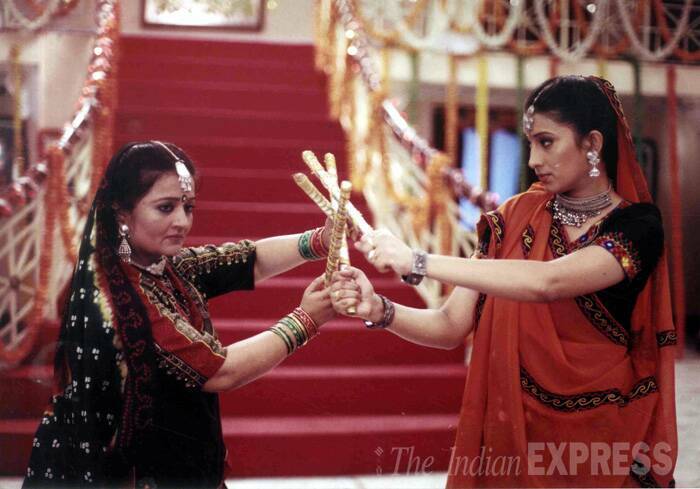 ‘Kyunki Saas Bhi Kabhi Bahu Thi’ was a huge hit and gave rise to the trend of ‘K’ serials in the country. 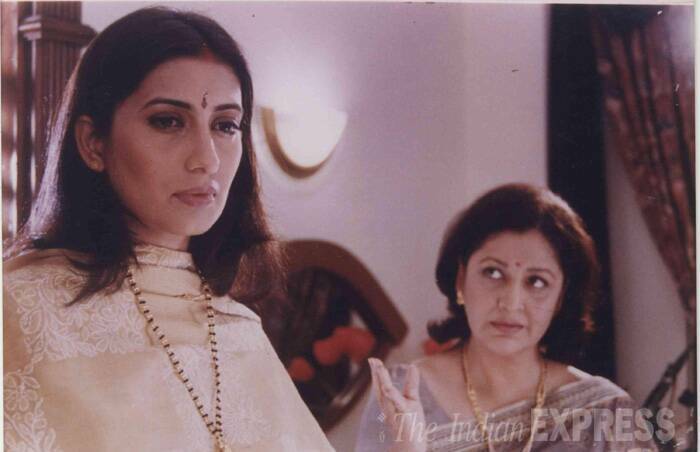 ‘Kyunki Saas Bhi Kabhi Bahu Thi’ also featured a generation leap wherein Smriti who initially played a daughter-in-law, later became a mother-in-law herself because every mother-in-law was once a daughter-in-law. Smriti Irani holds the record for winning five consecutive Indian Television Academy Awards for Best Actress (Popular), four Indian Telly Awards, eight Star Parivaar Awards. Seen here, the actress is all smiles at a felicitation function organised by Indo American Society on August 18, 2001 at the YB Chavan Auditorium along with Saakshi Tanwar and Dr. Arun C Vakil, Vice President Indo American Society. 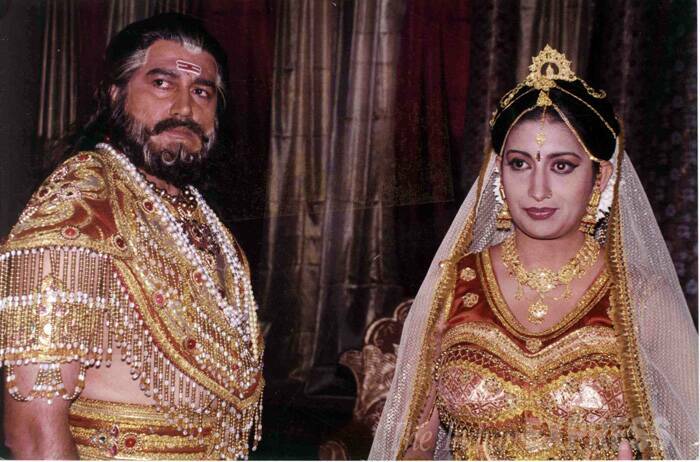 In 2001, Smriti portrayed the role of Sita in ‘Ramayan’. She later co-produced ‘Thodi Si Zameen Thoda Sa Aasmaan’ under her banner Ugraya Entertainment and Balaji Telefilms as well as played the female lead in 2006. The following year, Smriti took on the role of producer of the television serial, ‘Virrudh’ and played the lead actress Vasudha in it. In the later stage of her career, Smriti once again took on production for ‘Mere Apne’ and acted opposite Vinod Khanna. She was also seen in a supporting role in ‘Teen Bahuraaniyaan’. 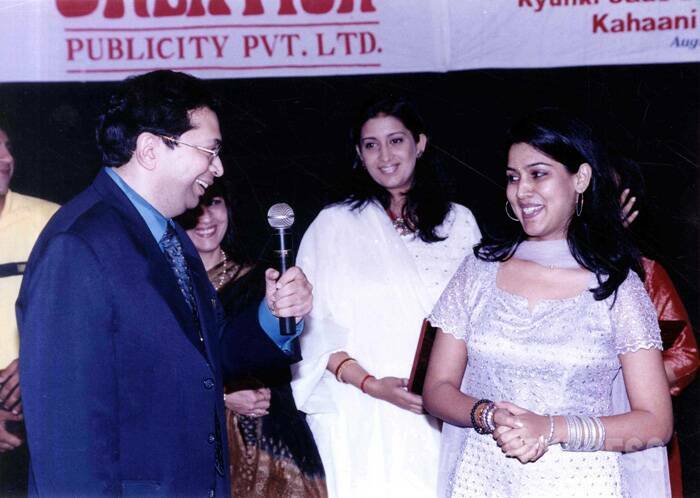 In 2008, Smriti hosted a dance reality show, ‘Yeh Hai Jalwa’ along with Sakshi Tanwar. 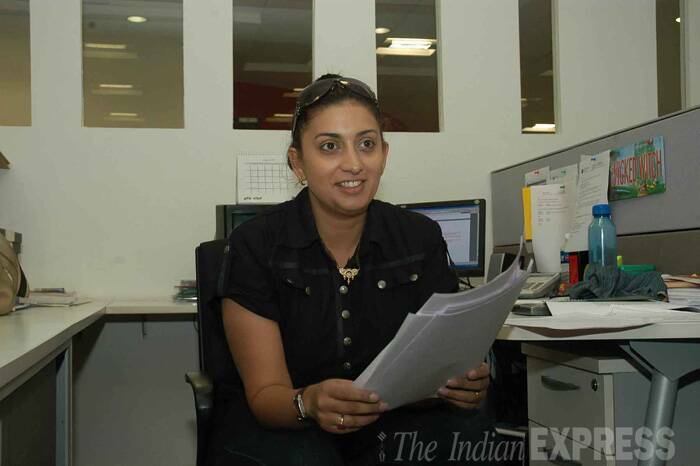 She also produced ‘Waaris’ and appeared in a comedy show ‘Maniben.com’ in 2009. In 2012, Smriti made her debut in Bengali cinema. Wearing her typical Gujarati-style sari, Smriti is seen here along with playback singer Udit Narayan and Deepa Narayan on television show ‘Janam Samjha Karo’. 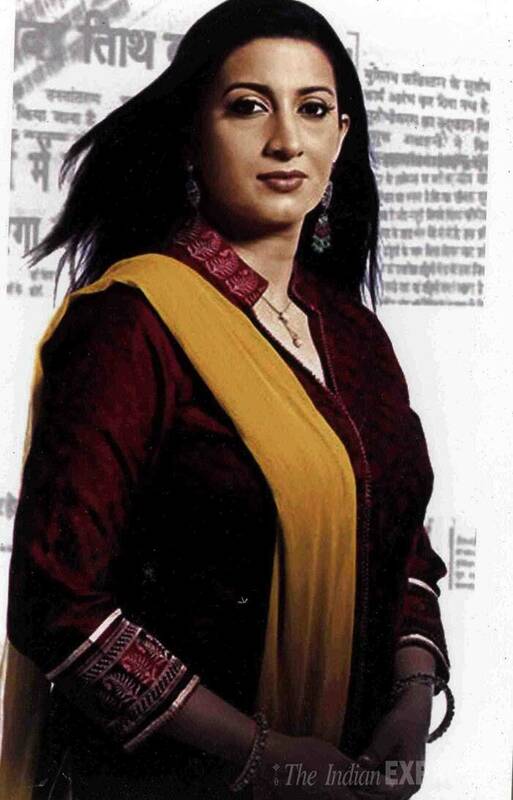 In 2003, Smriti joined the Bharatiya Janata Party and became the Vice President of the Maharashtra Youth Wing in 2004. She contested the 2004 general elections for the 14th Lok Sabha. However, she was unsuccessful and was later nominated as executive member of the central committee of the BJP. She was appointed as the National Secretary of BJP in 2010 and on 24 June, she was appointed as All India President of the BJP's women's wing, BJP Mahila Morcha. In August 2011, She was sworn in as a Member of Parliament from Gujarat to the Rajya Sabha. In the 2014 general elections, Smriti Irani contested against Rahul Gandhi in Amethi. She lost the election by a margin of 1.07 lakh votes. 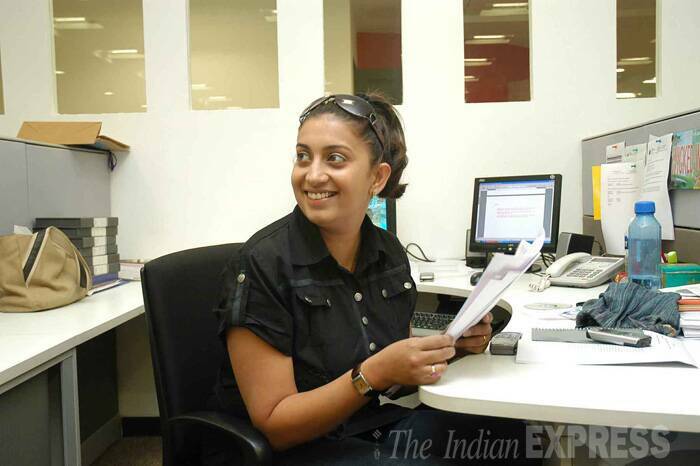 However, on May 26, 2014 Smriti was announced as the Minister of Human Resource Development in Narendra Modi’s Cabinet, becoming the youngest member at 38. Her educational qualifications have become the centre of much debate.